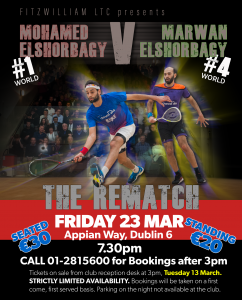 We’re very excited to announce that Fitzwilliam will be hosting a winner-takes-all exhibition match on 23rd March featuring Mohamed El Shorbagy (world #1) and Marwan El Shorbagy (world #4). 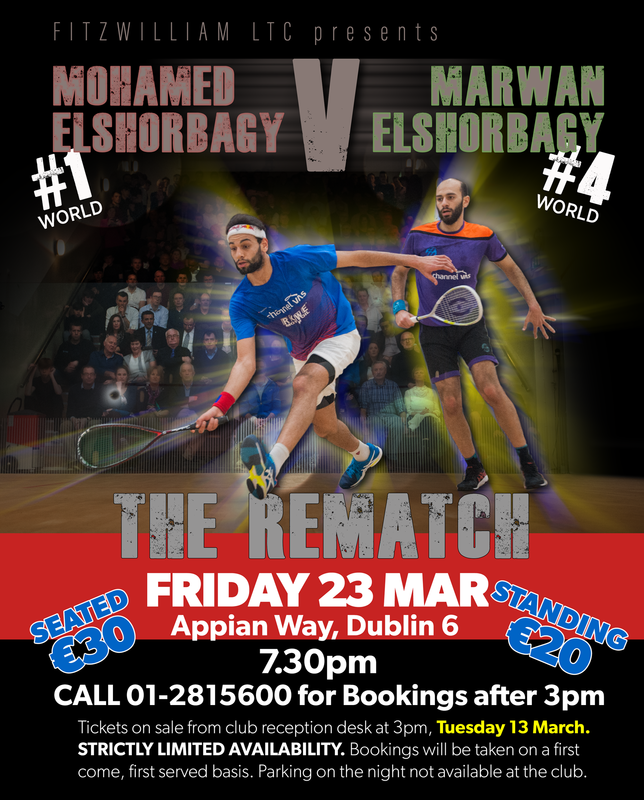 Last year we had the pleasure to watch Mohamed take the win 3/2, and this year Marwan is out for revenge. Tickets are available now from Fitz.